When I approached the age of 30, I recognised the risk of middle age spread was becoming a real possibility. So I made a pact with myself that every 5 years I would get myself in shape and fit. This led me to committing myself to the London Marathon in 1997. I trained hard but badly, yet really enjoyed the running. Over the next 10 years I became a running anorak getting into serious heart rate training books etc. Over the last 7 years I have kicked my nerd tendencies and focused on helping others enjoy it as much as I do. I have a Level 2 CIRF (Coach in Running Fitness) and am an experienced trainer with a Post Grad Cert Ed. I started running with Oaks Blokes in September 2010, after years of minimal exercise, a desk-based job and a chronic back injury; it has literally transformed my life. Two months after starting with Oaks Blokes, I competed in my first of many 10k races and have since completed several half marathons, marathons and triathlons. In August 2012, I completed my first Ironman triathlon and I am currently training for the 2019 London Marathon. I have been an accredited ‘Leader in Running Fitness’ with UK Athletics for four years and I have the privilege of coaching the ‘Get Back to Running’ course. My greatest satisfaction in coaching this course is witnessing the commitment and transformation of my groups, either beginners or lapsed runners, whose fitness and running distance rapidly improves, as well as secondary benefits, such as weight loss, smoking cessation and more mindful diet. First started running 25 years ago, in my late 30's, but didn’t take it up seriously until 2009, at the age of 56, when I decided to train for the Brighton Marathon, whilst living in Cumbria, on the encouragement of my running coach at the time. Having completed this marathon in April 2010, I continue entering further races, and have now completed 3 marathons, 15 half marathons & 16 10K races. My yearly treat is to find & run a different half marathon, in a new European City, in combination with holiday with my wife. When my wife & I moved down to Sevenoaks in May 2011, I joined Oaks Blokes, and later became one of their running coaches in Oct 2012. I currently look after the 7.30pm Wed night runs, and often make runs/sessions slightly different by use of games, warm up sessions, and throw in a few hill and speed circuits, and work with other coaches on Sat runs. I love running in all weathers & terrains and get great pleasure from passing on my experience throughout the group, and meeting up for tea/coffee & bacon sandwiches after a Sat morning run, or a beer after Wed evening run, has added another dimension and improved the Oaks Blokes social experience. In 2016, as another challenge joined up with Ian Walker & another Oaks Blokes runner Adam Hodgkins organising the popular local "Weald St.Georges 10K & 2K Fun. Having enjoyed running for 20 years or so by myself before joining Oaks Blokes, I took a bit of persuading to join the group and commit to running on a more regular basis. After the first outing I was hooked... I met old friends and new over coffee and now really enjoy the variety of runs and challenges. 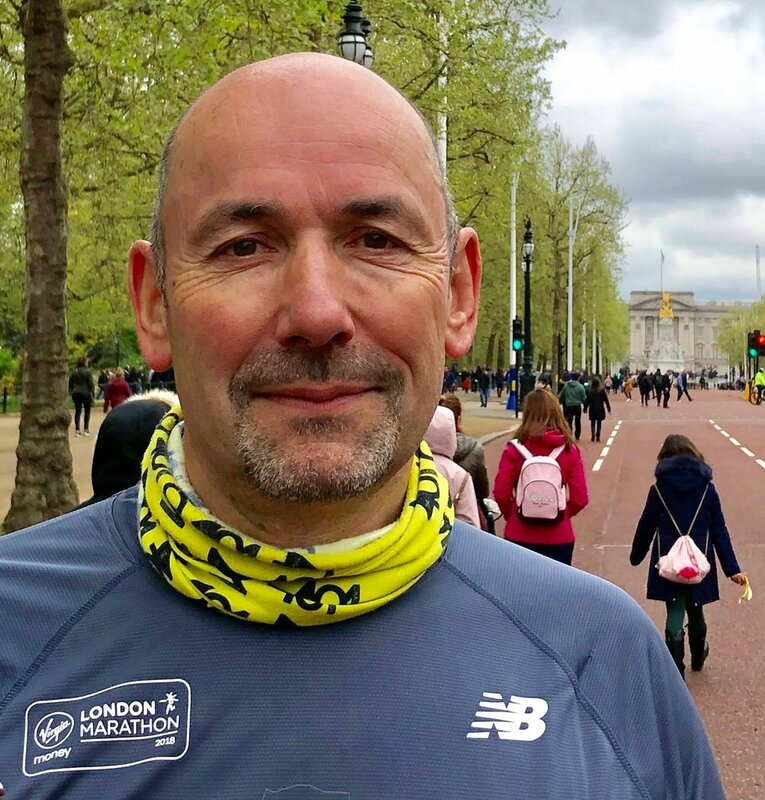 I ran the London Marathon back in 2001 but I'm now happy to concentrate on shorter distances and help everyone to achieve their own running ambitions. If anyone is training for a marathon, please let me know and I can provide additional support.